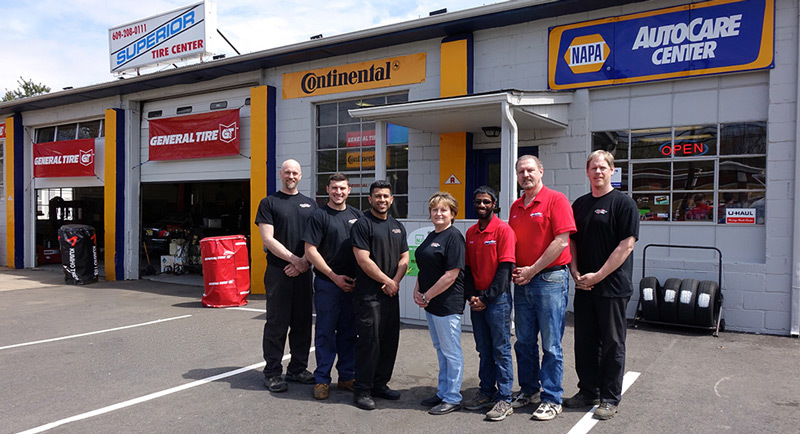 The Acolia family has been providing Robbinsville with dependable auto repair and maintenance service for over 50 years. Jeff Acolia, owner of Superior Automotive, grew up watching his father and his team of mechanics work on cars in Mercer County. After graduating from Steinert High School, Jeff became the service manager at his dad’s main service station and went to Mercer County Vocational Technical School, earning several ASE (Automotive Service Excellence) certifications. With 10 years of experience working alongside his dad, Jeff decided to open his own shop. After searching all over Mercer County for the perfect location, Jeff found an old shop just a mile away from where he grew up in Robbinsville, NJ. Jeff and his friends spent over a year remodeling and restoring the building, and Jeff officially opened Superior Automotive in the summer of 1995. Since then, the business has gone from a one-man operation to a staff of six, and continues to expand due to the excellent auto repair and service that Jeff and his staff strive to provide every day. His goal is to provide the best service available anywhere in the auto repair industry. Jeff has been an auto technician for 25 years. He handles all of the marketing and manages the day to day operations. He is also available during the day for technical support. Mark has 30 years of experience in the automotive field. As service manager, he handles ordering parts, writing up work orders, and answering the phones. And, of course, he’s great to our customers! Give Mark a call, and he will be glad to handle your repair or maintenance needs! Suraj also handles ordering parts, writing up work orders, and answering the phones. If you need a ride to work or home, he will gladly get you there! Suraj’s specialty is European cars, so if you have a Euro, give Suraj a call. He will be glad to help you! Pat handles all the bookeeping duties and assists with the phones and customer service. Pat is an invaluable member of the team. Jack is our A-Level Master ASE-certified technician. Jack has been with us for over 10 years and can fix anything! He can do it all and the quality of his repairs has always been second to none. Jack is especially good in diagnostics, hard-to-find problems, and any type of electronics. Aldo has been with us for six years. He specializes in brakes, steering and suspension, exhaust, welding, timing belts, and diagnostics. Aldo does high quality work and speaks both English and Spanish. Kevin is our maintenance specialist. He handles all fluid exchange services, belt and hose replacements, tune-ups, and lighting needs.